Electro-Pop artist Adam Prince King drops energy-fuelled single, "Saskia"
Electro-Pop artist Adam Prince King has shared his new single entitled "Saskia" on The 405. King plans to release an EP later this year, so expect more music from him in the coming months. Adam Prince King has been a performer since birth, constantly challenging himself to be more and dream bigger. He is always unapologetically himself with an outrageous fashion sense that would make even David Bowie proud, and a quirky mustache that shows he doesn’t take himself too seriously. With a degree in music production, King has a heavy hand in the making of his music. He bravely puts himself out into the world with infectious British pop tunes that will make you want to cry, dance, or go completely crazy all at the same time. 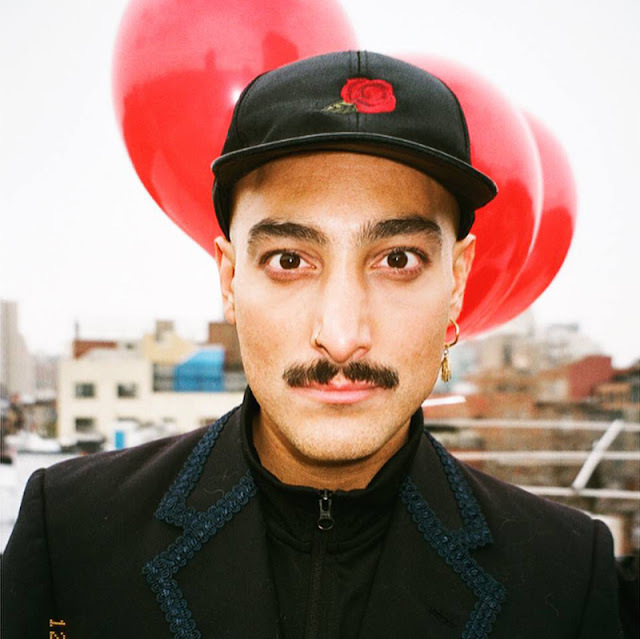 In just over a month, his debut music video for “Flamingos” hit the 100k view mark on YouTube and the track has been featured on Spotify’s much-coveted Hiptronix Fresh Finds playlist. He is currently readying his 2nd EP for release via Little Assembly later this year. Influences include David Bowie, Moby, Prince, Sade, 90's RnB, James Brown, Drake, Andre 3000, The Smiths and Madonna among many more.